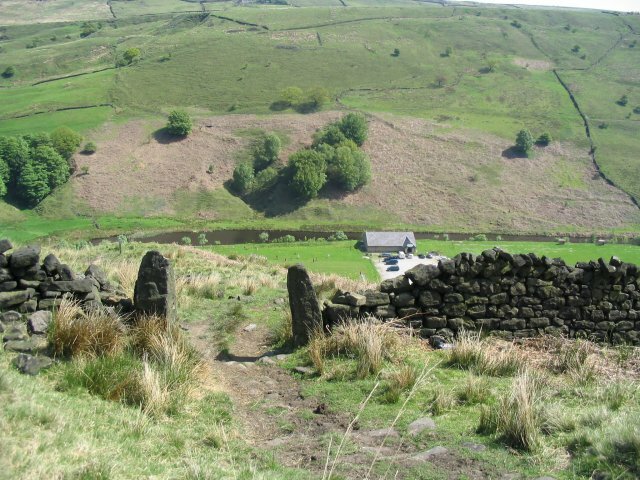 Just when I think it's safe to go back out on the moors I read in one of Mr Boswell's 'There & Back' asides that he'd written an earlier book of walks. 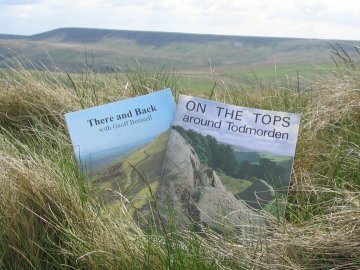 A quick trawl of abebooks.co.uk and the amazon.co.uk 'New & used' section found me a copy of 'On the Tops' for £6. 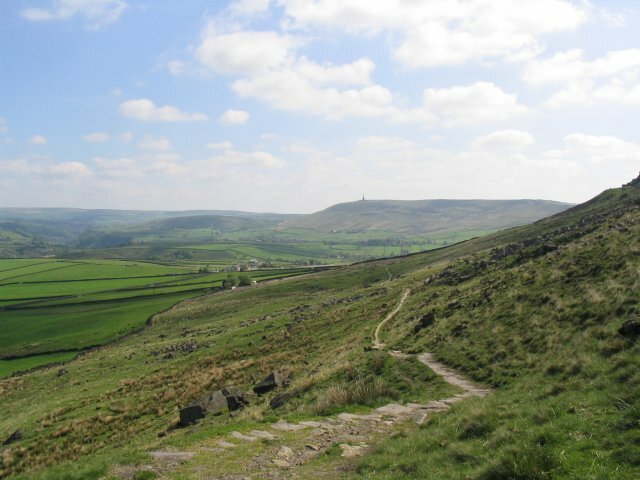 If I'd spent the time looking around secondhand bookshops I have no doubt it'd be a lot cheaper but this whole hiking / walking on the moors thing is much too much fun to waste in dusty bookshops. Enjoyable though that is, to my mind it's more a winter pleasure. 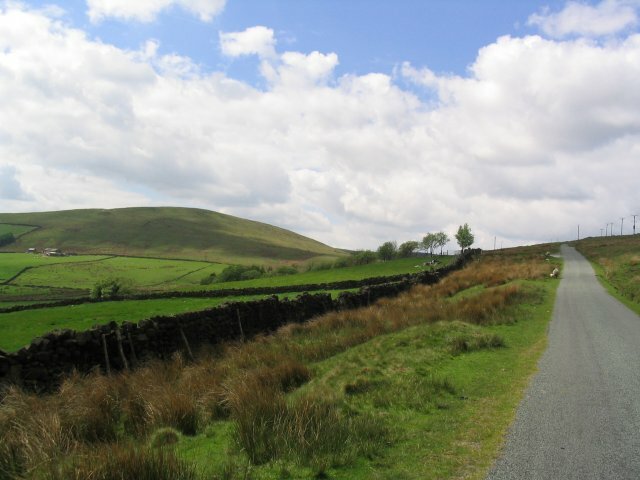 If I thought some of routes in 'There & Back' were a bit tricky to follow, they're nothing compared to 'On the Tops'. It's fairly obvious that Mr Boswell was learning his 'describing walks' craft when he did this one. And it's now been 20 years since he first wrote it, and things have changed. Inevitably. Doesn't detract in the slightest from the book, which is just great. As you can (hopefully) see from the photos. 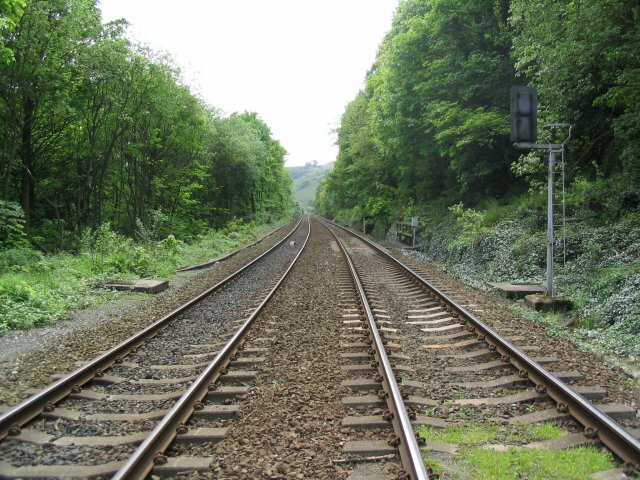 Crossing the railway line on the way out of Todmorden. No, I didn't jump the fence - this is the footpath, which goes over the lines. There is a warning notice about the trains, but that's all there is. Makes a refreshing change when people are allowed to just use their common sense about these things. The hill on the left looks nice. Oh, bugger. I think Mr Boswell's route goes up there. Mind you, it doesn't look too bad from here. 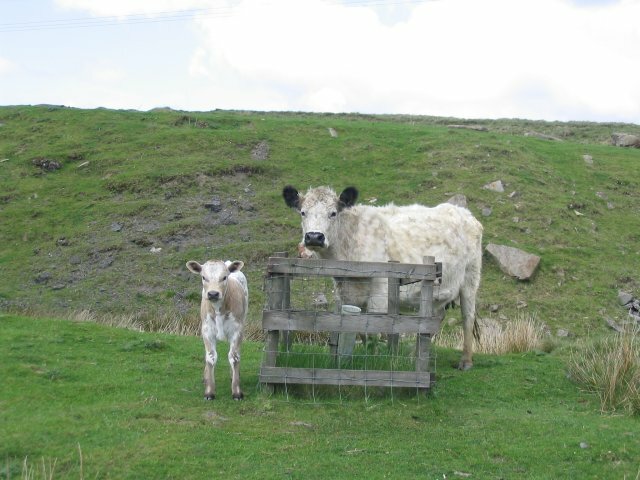 Cow and calf. There was a bull around here too, but I was too busy trying to pretend to be a small rocky outcrop or some sort of shrubbery to take a photo. As I (unobtrusively, and very slowly) edged past him. 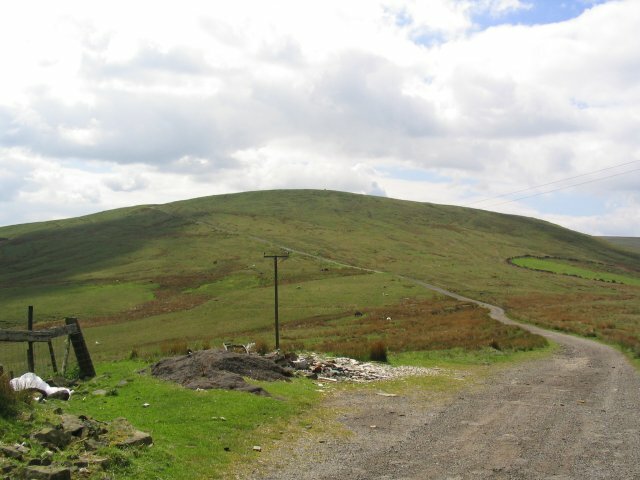 This is a serious hill, and I'm not happy. A bit further back Mr Boswell had mentioned the Sourhall Inn. It was closed, and had been for some time. I'd been looking forward to a pint, and now I've got this hill to climb. There's worse to come further along. 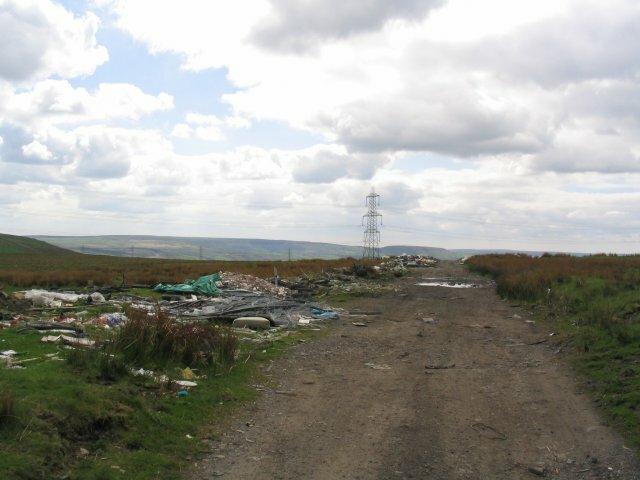 This is a dump, literally, in a nice stretch of open country. I don't know what to say. What kind of person drives up here and off-loads things rather than driving into Rochdale into the (well-organised) sites there? 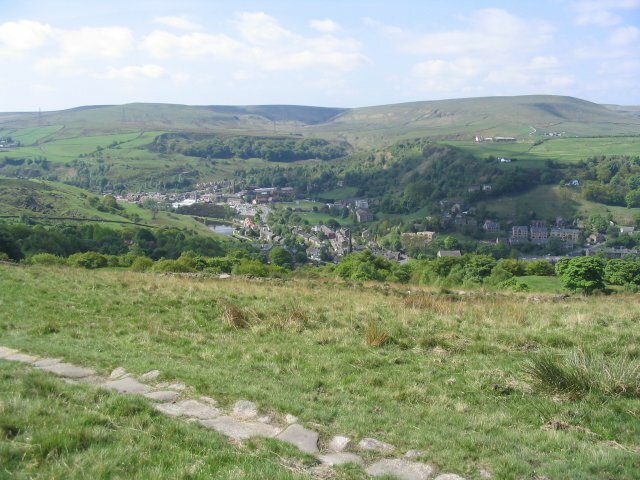 Citizens of Bacup, be ashamed - even if it's not you personally, this is a disgrace. 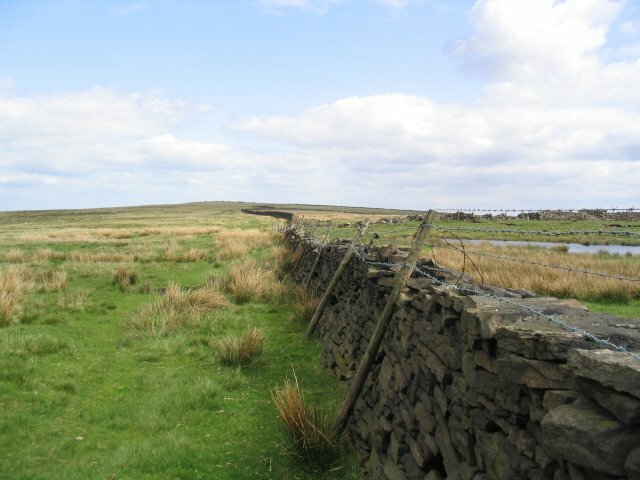 Later in the walk, and having calmed down a bit, this is the border between Lancashire and Yorkshire. It's fantastic up here, miles from anywhere. Just when you think you can jump the wire and run to freedom (well, Lancashire) you realize that there are guards everywhere. 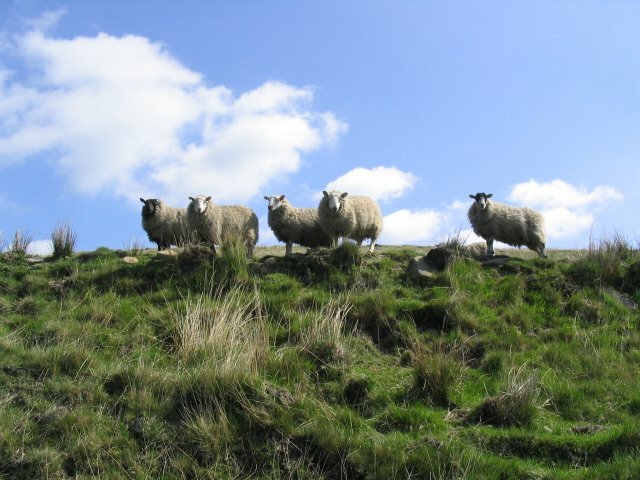 They may look innocuous, but those are the Seriously Angry Sheep, and you don't mess with the SAS. 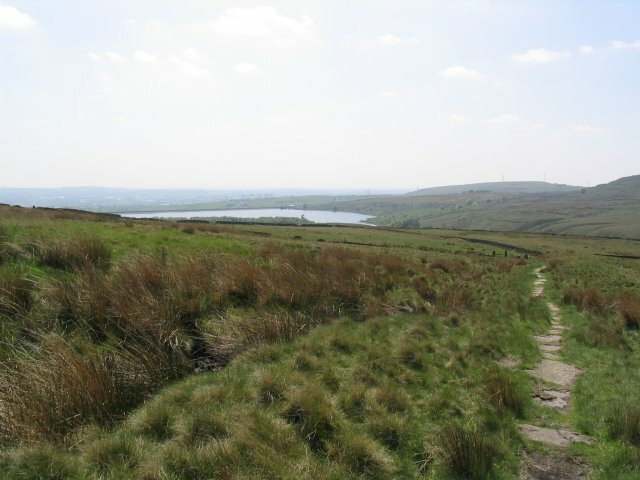 According to Mr Boswell (not, in my experience, a serial liar) this is the highest point in Todmorden. 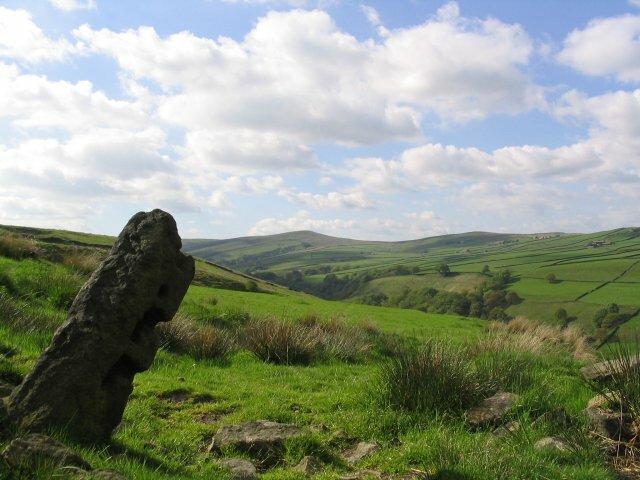 The views are very impressive, and it's a great place to find yourself. On the way back down. Some days just lend themselves to taking photos, even for a halfwit like me. 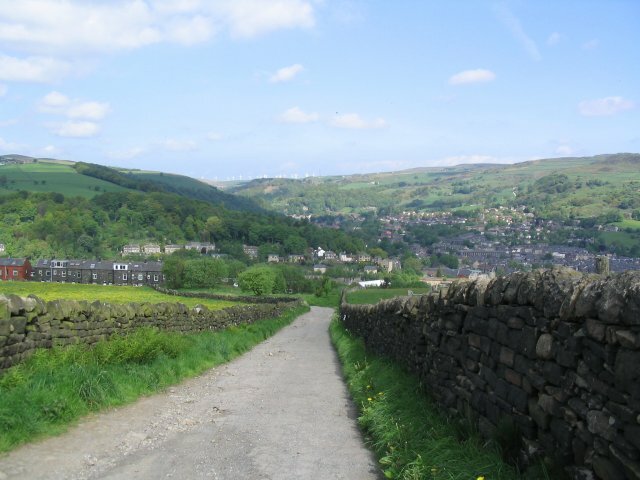 Looking down towards Walsden / Todmorden, with the valley that leads up to Bacup on the left. The path passes the ruins of a few houses, presumably abandoned due to the steepness of the path and lack of road access. 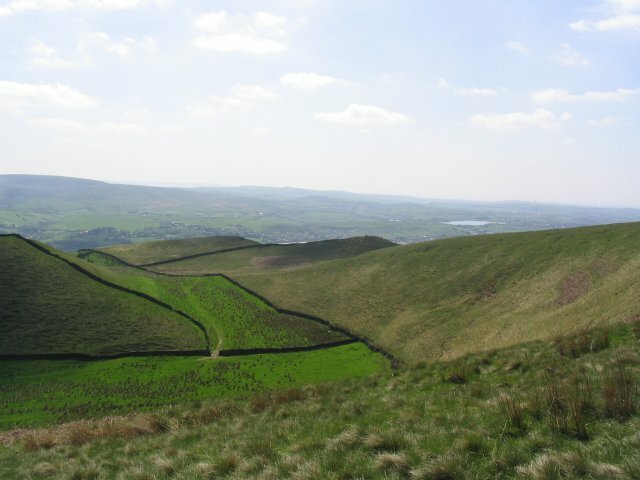 In the middle distance is the train that runs up and down the valley, from Manchester to Leeds / York and back again. Yes, it's not the most sophisticated train service in the world, but it does the job and it's cheap. And I can't believe I managed to capture the train on one of my photos. Result! 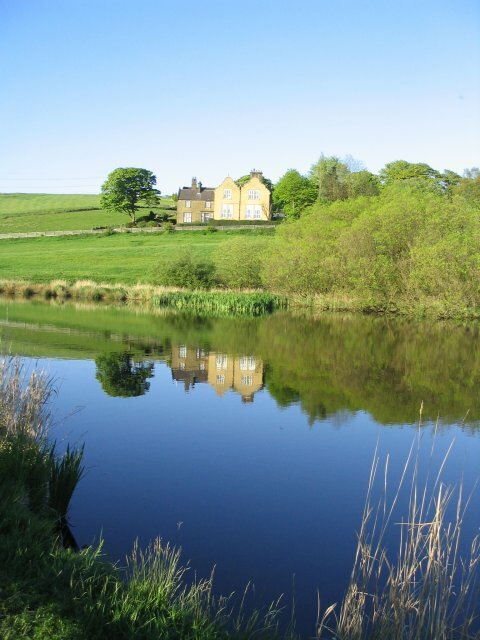 I walked back to Littleborough along the canal, and managed to get this shot of my future residence (in my dreams, anyway). Fussy people might prefer the photo to be level, but then again fussy people would probably not spend far too long outside the Summit Inn with a supply of beer. Your loss, fussy people - I'll take the pints and wonky photos every time. The late evening light up here is something special. 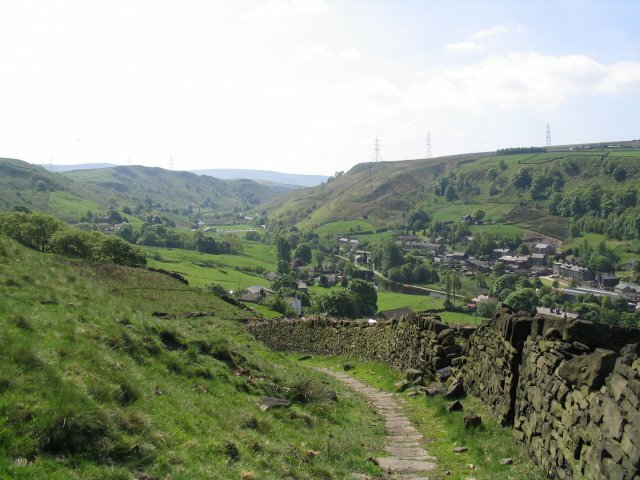 Another of Mr Boswell's walks that begin with a climb uphill (this is looking back down towards Todmorden). If he ever does another book I'll suggest a walk that starts with a bus ride to the top of a hill and sets off from there. Still, the uphill bit blows the cobwebs away. Looking back at the beginning of the packhorse trail. 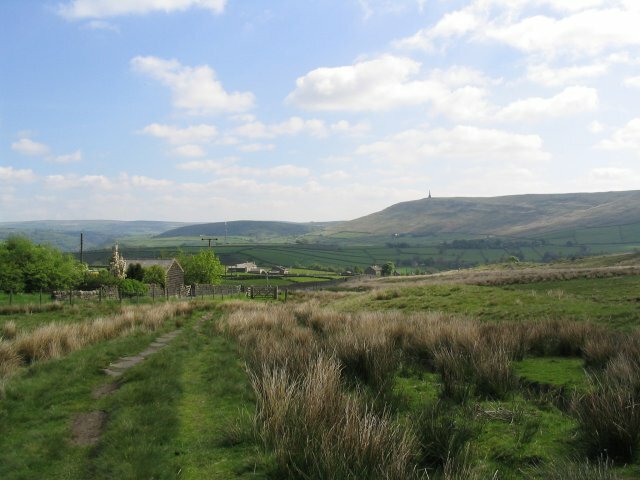 In the distance, Stoodley Pike Monument. Looking up the packhorse trail. On the far right slope of the hill in front you can just about see the continuation of the trail. 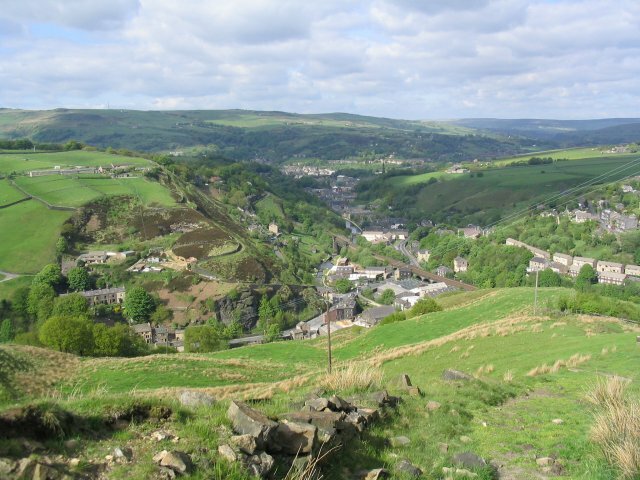 Looking down to the right and Todmorden. 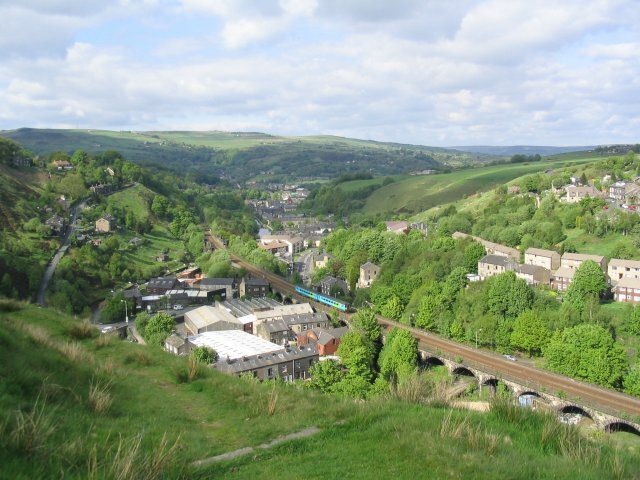 Mr Boswell includes a 26-mile boundary walk in his book which basically goes around the skyline of Todmorden. Like from here to over there, for instance, around the sides. I think I'll do that walk another day. How soon is never? Another look back at the packhorse trail. 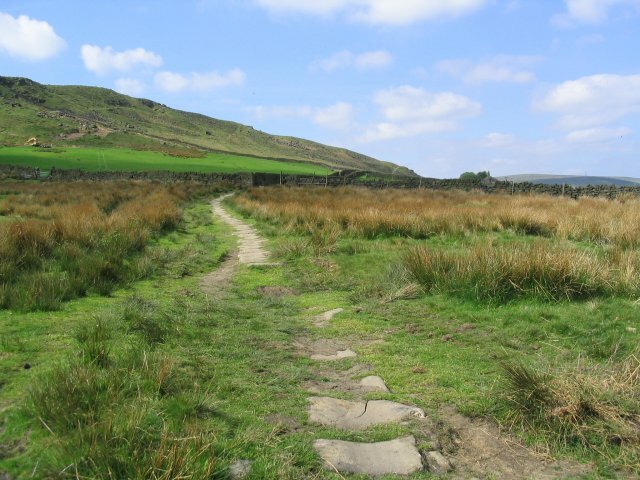 This walk is quite evocative in terms of what it must have been like to travel between towns a few hundred years ago. 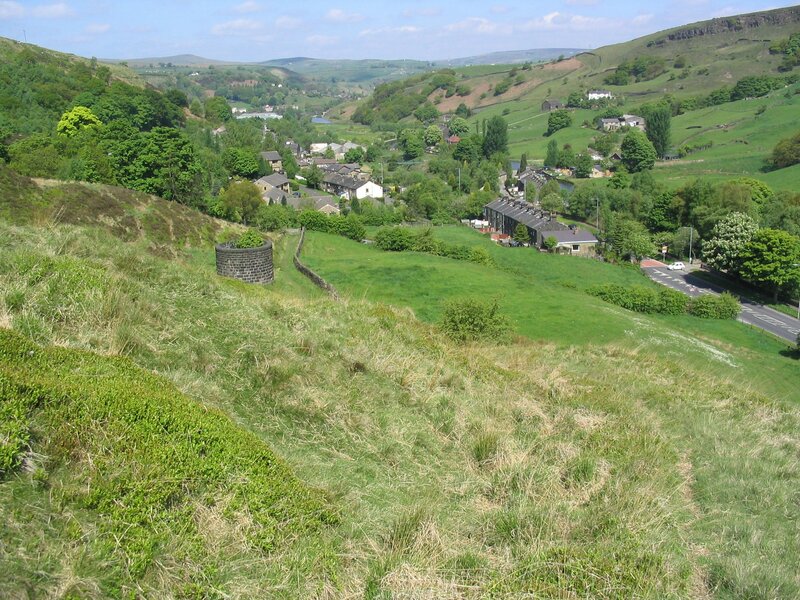 Further along, and the view down to Walsden. Back in the 60's / early-70's this supergroup decamped to the country to 'get it together'. They never did, and are still there. Picture is from the cover of their - as-yet-unreleased - reunion album. ... which is this breather outlet from the Summit (railway) Tunnel. Yes, you have to walk down one side, cross the canal, then go up the other side. Thanks Mr Boswell. 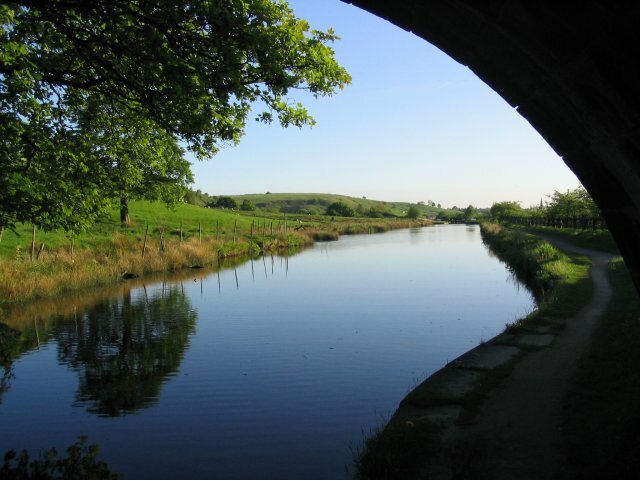 Does this view down to the canal look steep? If it doesn't, it is. Quite a walk up and 'Boswell' is, by now, an insult. I got a bit lost up here. 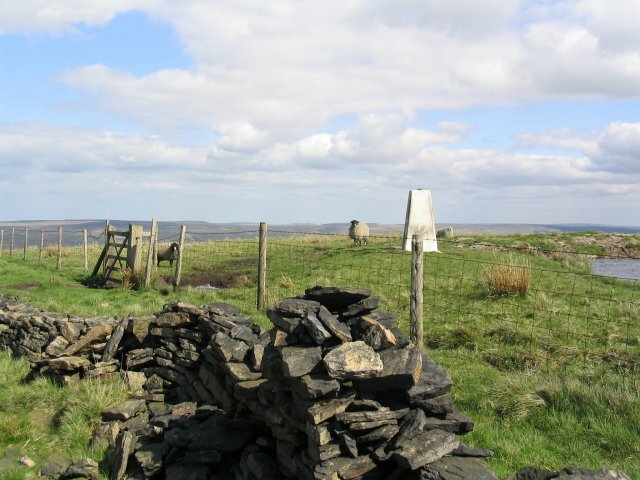 Mr Boswell's directions are a bit vague and I'm not the best with an OS map and a compass. Having wandered off in a few different directions, seen my boots disappear into a few muddy bogs (and tried not to get too concerned about the whole thing) I found the rough direction I should have been walking in. Not too bad on a sunny day with plenty of daylight left, but I wouldn't ever want to be up here in adverse weather. 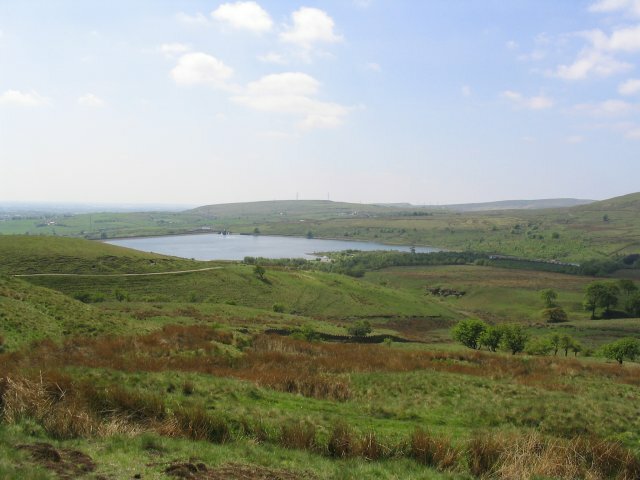 At last, and with some relief, I found Watergrove Reservoir (something I recognise). Another packhorse trail, this time looking back at Watergrove. There's a village under that reservoir. Bit quiet, mind. Fish shop is good. One day this may be another supergroup (when my 'Giant Book of Puns for Idiots' turns up). 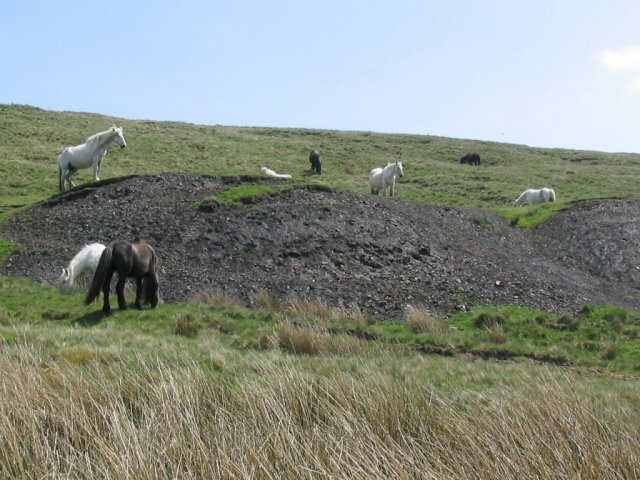 At the moment it's a bunch of long-haired horses. Wild? They were livid, and couldn't drag me away.